Danny Stubbs is an audio engineer/record producer from Stoke on Trent – UK. Signed to Solaris Recordings with his tracks ‘Waiting For The Horizon’ and ‘Secrets’ ft. Issa. 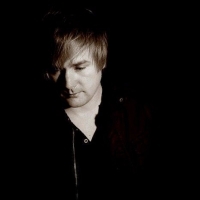 Danny has been described by Solarstone as one of his ‘Ones to watch’ for 2013 in the Progressive/Trance scene and has remixes currently released on Songbird, Touchstone Recordings (Black Hole) & Baroque Records, as well as receiving countless radio plays on Perfecto Fluoro, Solaris International, Magic Island & many more. Before making his Solaris debut in 2012, Danny co-produced and engineered new tracks by TILT including ‘No Other Day’ ft Maria Nayler (Century Mix) & ‘Your Love’ ft Sam Mollison (which were released on Lost Language Recordings) and also TILT’s ‘Perfecto Remix’ of ‘Sleep’ ft. Tamra by Paul Oakenfold. 2013 has seen the launch of Danny’s new record label ‘Empress Recordings’ which features tracks and remixes from the likes of Thomas Datt, Future Disciple, Beat Factory, Mike Saint Jules and Danny himself.